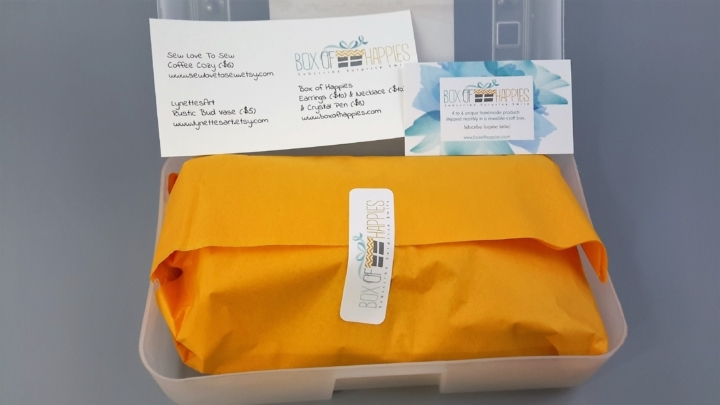 A grin grew from ear to ear as I opened my mailbox to find November’s Box of Happies ($28.99 per month). This box is made with handmade art lovers in mind. It includes work from different artists throughout the US and the monthly contents vary. It also makes a great one-time gift as there are no recurring charges involved. Four to six items are included in each box, but you can also customize and add another bar of soap, candle, or piece of jewelry. Or, you can treat yourself to a little grab bag for just $10! Items come neatly wrapped in the reusable craft box. 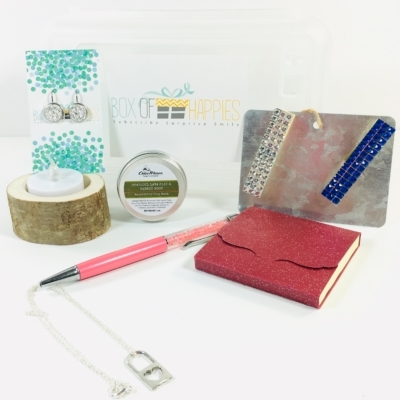 This month’s box was valued at $39 + the value of the craft box that is included in each shipment. A contents card is included in each shipment, letting you know the value of each item selected that month. DEAL: Receive a free handmade necklace with your first Box of Happies purchase with coupon code HAPPIES. 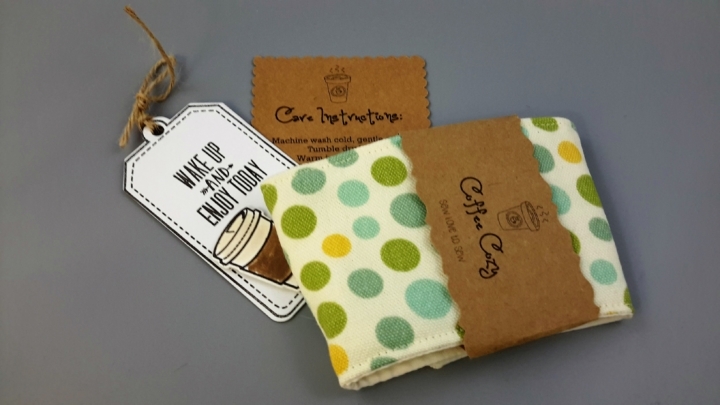 This Sew Love to Sew Coffee Cozy ($6) is a great way to enjoy your favorite hot brew without burning your little piggies. This polka dot pattern is cute, and they have a wide variety, including holiday themes on their website. 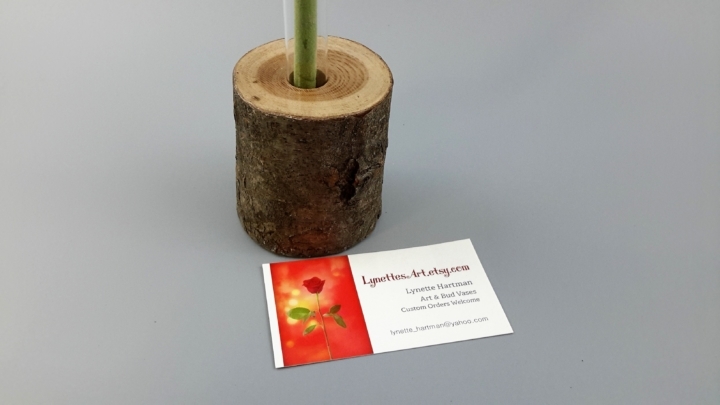 This Lynett’s Art Rustic Bud Vase ($5) is a handmade way to display your favorite flower. This is a close up of the base which is made of solid wood. A test tube-like vase is included that you slide into the hole on top and then fill with water for your flower. 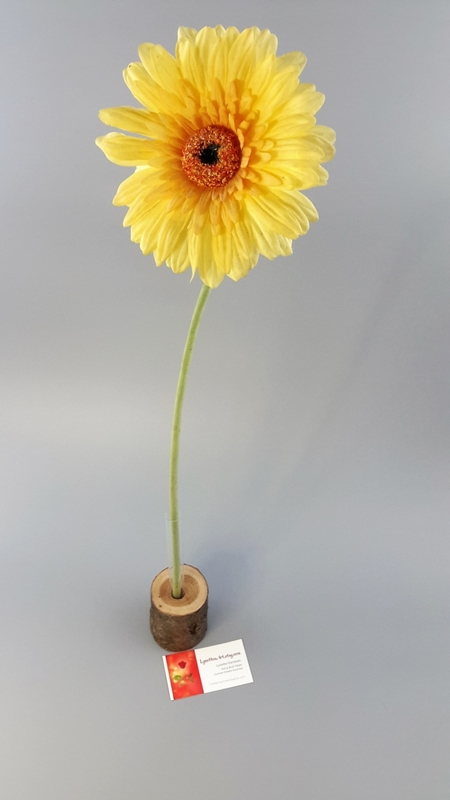 You can see the tube inserted into the base, with the stem for a daisy inside. From their own collection, Box of Happies included this crystal pen and a necklace and earring set. The crystal pen wrote nicely and had Happies rolling off the tip of its ball roller. 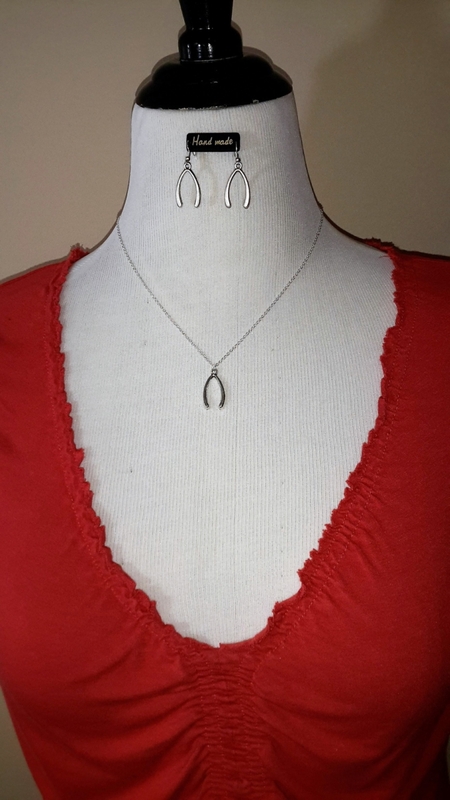 Finally, this Handmade Earring ($10) and Necklace ($10) set rounded off the contents of this box. 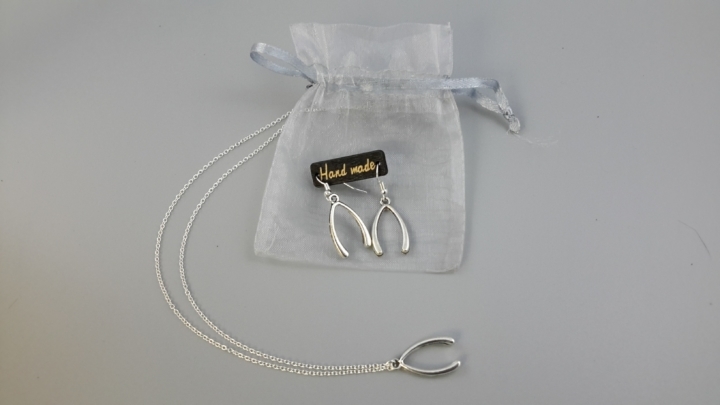 They remind me of little turkey wishbones, which makes me think I’ll walk around with positive wishful thoughts throughout the day when I wear them. The chain itself was on the shorter end but was longer than a choker. 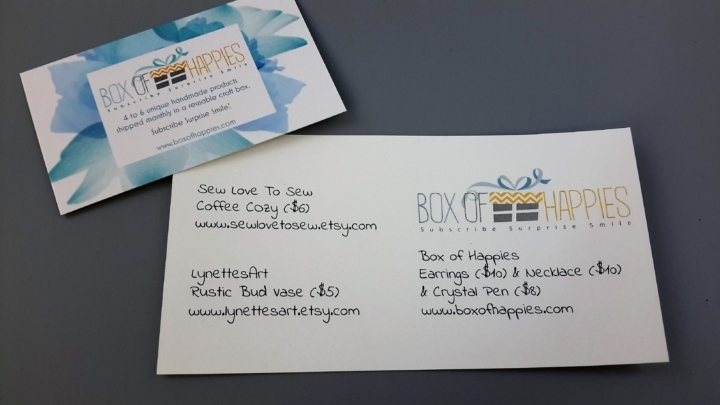 What do you think of this month’s Box of Happies? A monthly subscription box of 4 to 6 unique handmade products shipped to you in a cute, reusable plastic container (craft supply box). Receive 3 to 5 handmade products from artists who create jewelry, accessories, paper goods, bath & beauty, art, and housewares. Happies cheer you up & put a smile on your face! 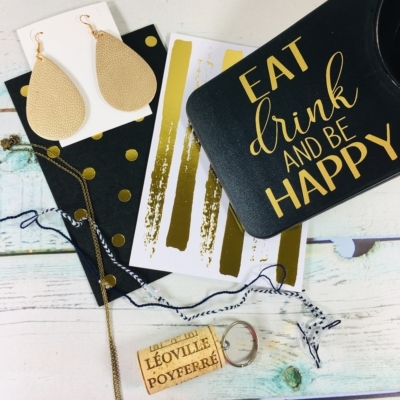 Receive a free handmade necklace with your first Box of Happies purchase. Use coupon code HAPPIES.